Showing results for tags 'appliance repair'. 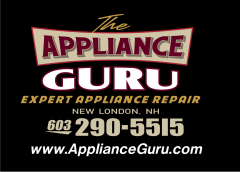 WE OFFER FULL SERVICE APPLIANCE REPAIR IN HORRY COUNTY AND THE GREATER MYRTLE BEACH AREA. PLEASE CONTACT US AT 843.492.3913 OR nmbloriswarehouse@hotmail.com. If you want to contribute to the longetivity of you garbage disposal life you have to learn some garbage disposal maintenance and care tricks. Following these tricks and tips on garbage disposal maintenance your garbage disposal will last for a longer time. Tip # 1 for Garbage disposal maintenance | Stay away for pouring used oils and greasy things in the disposal! Tip # 2 for Garbage disposal maintenance | Stay away from grinding food wastes like fruit pits, some bones! Tip # 3 for Garbage disposal maintenance | Do not to put potato peels in the garbage disposal! Tip # 4 for Garbage disposal maintenance | Stay away from grinding coffee and egg shell in the garbage disposal! Tip # 5 for Garbage disposal maintenance | Never overfill your garbage disposal! This is the Ten Step Troubleshooting Tango we discussed in the Office Hours webinar on 12/12/2016. It presents a procedure for troubleshooting any appliance that will help keep your thinking straight and avoid floundering around like a parts changing monkey. We'll use this structure in future troubleshooting workshop webinars. The Days of Monkey Boy Service Calls are Over! 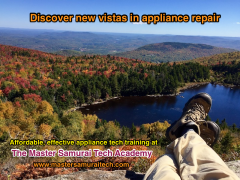 Learn how to troubleshoot like a real technician at Master Samurai Tech. How To Fix A Range Or Oven That Won’t Start?